In AD 132, Shim'on Ben Koseba, a rebel leader who assumed the messianic name Shim'on Bar Kokhba ('Son of a Star'), led the people of Judaea in open rebellion, aiming to establish their own independent Jewish state and to liberate Jerusalem from the Romans. 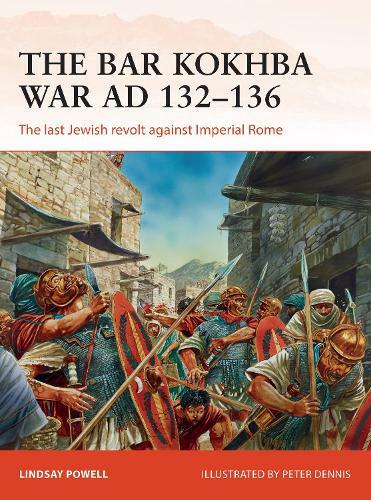 During the ensuing 'Bar Kokhba War' (AKA the Second Jewish War), the insurgents held their own against the crack Roman troops sent by Emperor Hadrian for three-and-a-half years. The cost of this rebellion was catastrophic: hundreds of thousands of casualties, the destruction and enslavement of Jewish communities and a ban on Jews entering Jerusalem. Bar Kokhba remains important in Israel today because he was the last leader of a Jewish state before the rise of Zionism in modern times. This fully illustrated volume explores the gripping story of the uprising, profiling its rebel leader Bar Kokhba as well as the Emperor Hadrian and his generals, and assesses the impact that this violent rebellion had on the region and those that were displaced.